For larger window areas (i.e. : more than 48″ x 72″), we can make 2 inserts with a shared Center-Post (Mullion) for added support and ease of installation. We make the Center-Post by fastening 2 QUICKFIT Frame Segments together. QUICKFIT WINDOW INSERTS™ Frame Segments contain reliable springs with the force needed to seal the insulating space between primary window and window insert and hold the insert securely in place. QUICKFIT’s unique “floating” Frame design has Frame Segments that independently self-adjust to out-of-square windows to maintain insulating integrity. 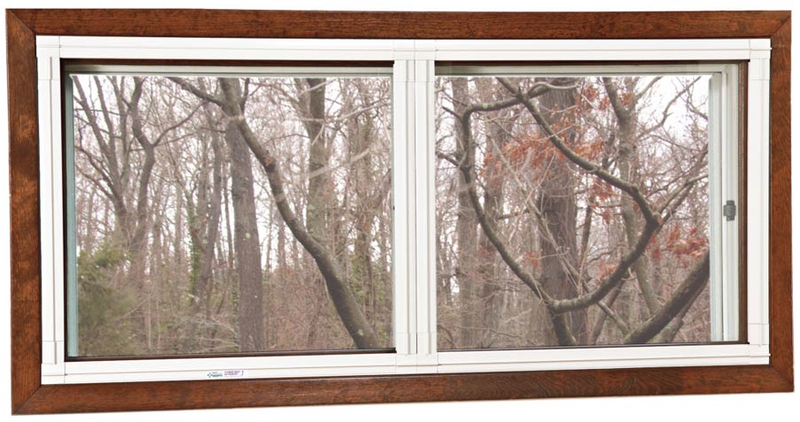 Unlike some inside storm windows, QUICKFIT installs without tools, fasteners, or alterations. QUICKFIT Thermal Window Inserts are ideal to insulate all window types including skylights, one of the worst sources of energy loss in a home. QUICKFIT Window Insulation Panel Frame Segments can be painted to suit decor. QUICKFIT is designed so customers may choose to obtain the acrylic panes for their inserts from local sources, saving on shipping and other costs. This is possible because QUICKFIT Frame Segments are designed with ¾” deep channels that grip and seal the pane. No glue or fasteners are needed. When QUICKFIT Frame Segments and high quality crystal-clear acrylic pane are combined, the results are draft-free windows, lower heating costs, lower air conditioning costs, better window soundproofing and year-round return on investment.